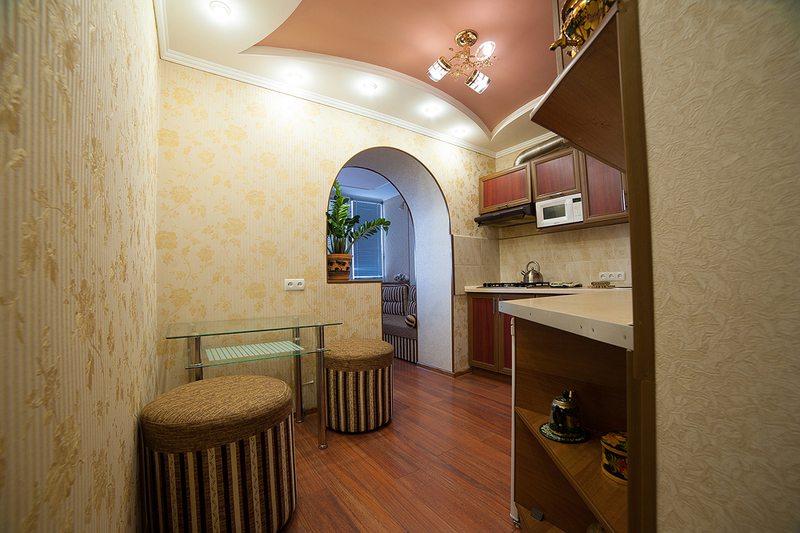 If you need to rent a flat in Nikolaev due to some reasons, it means you go in right direction. On this website you’ll find all the information about renting of a flat for-night in Nikolaev without realtors and intermediary. It will turn out to be cheaper and more comfortable than a hotel room. Excellent conditions of these apartments is a doubtless advantage to unreliable and uncomfortable hotels. Aren’t you going to rent one of our flats yet? 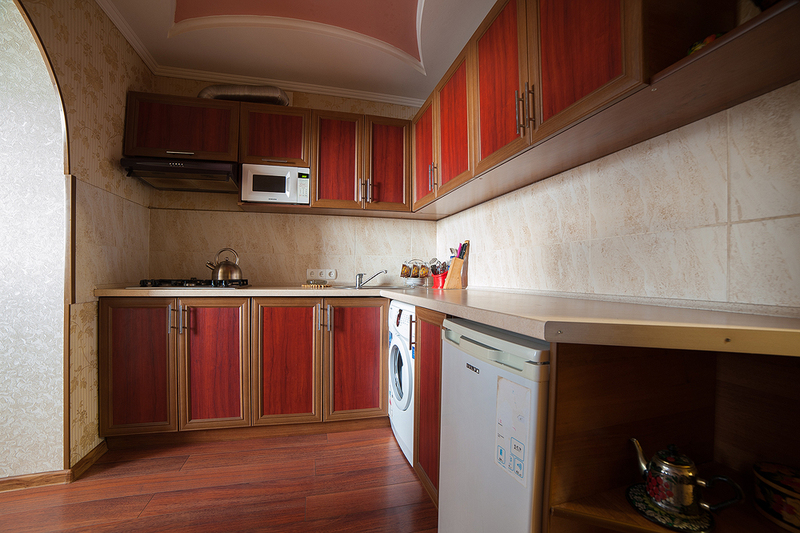 We offer to you an exquisite apartment, which is suitable for long- and short-term periods. 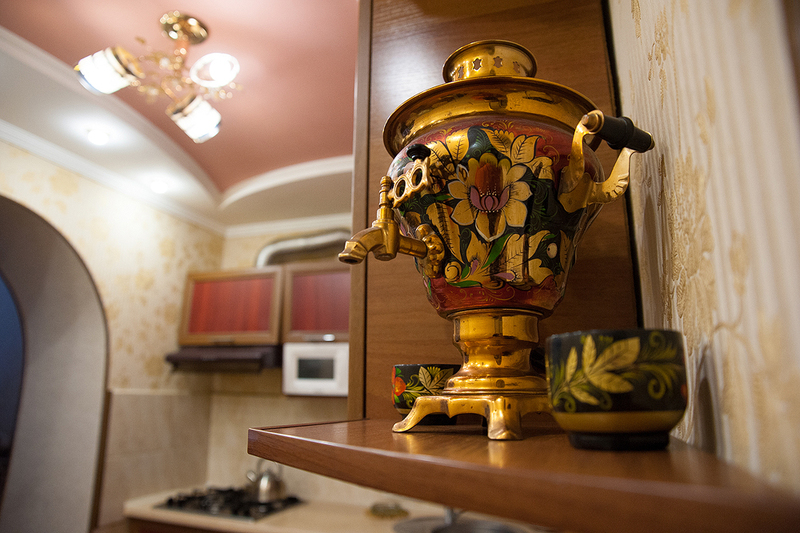 Advantageous location of the flat – 5 minutes to reach the Lenin avenue (Central avenue) or Pushkin ring road, will save your time. Having settled in this apartment, you’ll both meet on time your business partners, and go sightseeing, so renting of a flat in Nikolaev will be pleasant memory for you. Is located in Navarynskaya street. Has one spacious room, where two people can be placed. There is a two-side bed with an orthopedic mattress, also there are two one-side divans on a balcony, which is connected with a kitchen. There is also a coffee table, a wardrobe, all the necessary appliances for light, a TV-set (cable television), an iron, an air condition, access to the Internet. 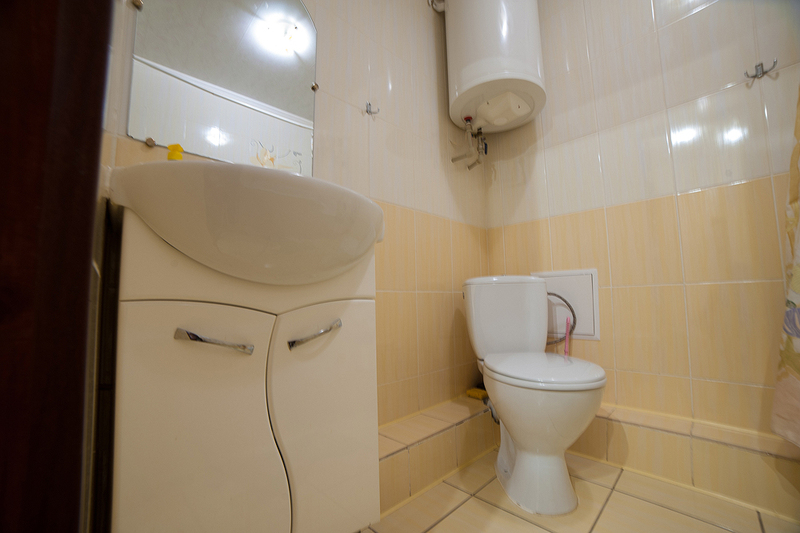 In a bathroom you can find a hair-dryer and a washing machine. 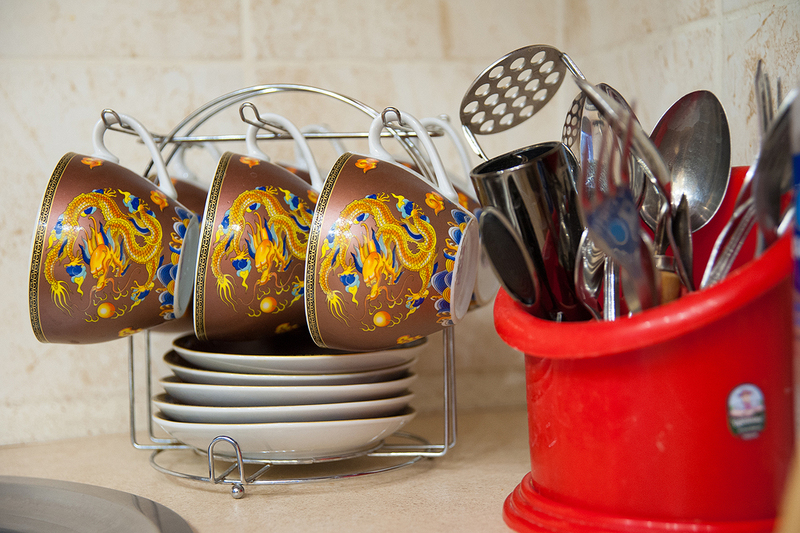 The kitchen is provided with all the necessary appliances: a cooker, a fridge, a microwave oven, crocker. Good repairs have been made in the flat, two-leveled ceilings with lightning, laminate flooring. Central heating. cold and hot water at any time. All the necessary hygiene products, household chemical goods and other service. So, the renting price includes bed linen, towels set, bath cosmetology, detergents, etc. For those who have a car it is very comfortable, because there is a parking lot near the house. Small companies or a couple. Business trips and tourist sorties. For those who have a car. You are guaranteed reliable and comfortable accommodation – all the photos on the website are real, there are no mistakes in description. An opportunity to rent a flat without intermediaries will save your money. All necessary documents are provided by the owner, if necessary due to a business trip. The settlement is arranged by tenant arrangement. 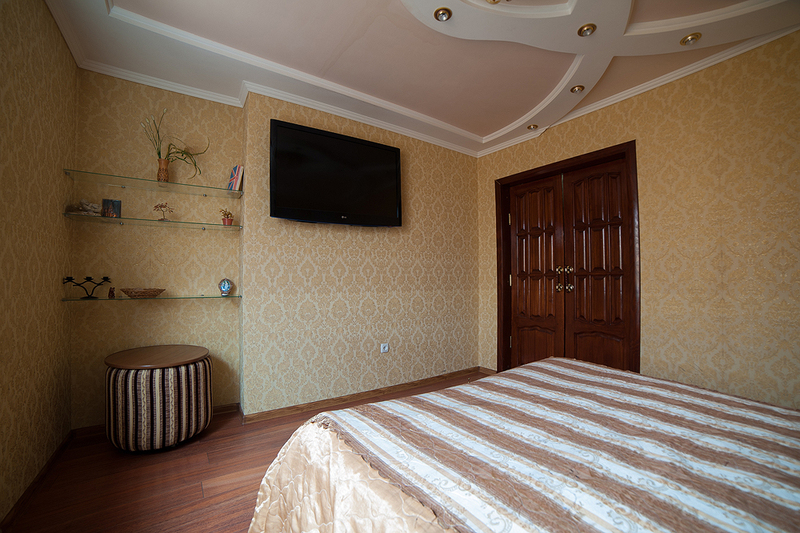 Connect with us by the specified phone number, and let the renting of flats in Nikolaev and stay in this wonderful city will be a pleasant memory for you!